I have been promising this since before Crave To Claim released, but I wasn’t able to get it finished in time and then kept pushing it back. So I’m glad it’s now ready to share with you. Credence was always planned to be a bonus to accompany the main series so it’s only available for those who have joined my Dark Halos reader’s group by email and let me hassle them every now and then 🙂 It’ll be sent out this weekend so if you haven’t yet joined, sign up now! This book is my THANK YOU to those of you who have been following and supporting the series as it has grown. Without you all, it probably would have stopped at book 3, but I’m looooving the world and the couples the more I write, so it’s been a win for everyone. PLEASE NOTE: Torin and Toya’s story actually first starts near the end of Crave To Capture (Book 2, Myth of Omega), so I would recommend reading the three Crave books first to get an understanding of the world and the couple. This book begins at the Alpha and Omega event that happens in chapter 14 of Crave To Claim (book 3, Myth of Omega) and assumes readers understand the context, then continues on from there. The Alpha froze, a frown forming on his face, before turning. Commander Torin stood at his shoulder, his face like stone as he watched both of them. Victoya blinked at him, surprised, as the Alpha stepped back slightly. “I know, but she is not,” the commander said, stern and sharp. Torin swept in front of her so fast, she almost yelped in shock. He caged her in, his hands on the wall as he leaned over her, his gray eyes pinned her to the wall. “I thought you weren’t looking for an Alpha?” The storm in his eyes was almost mesmerizing. “It didn’t look like you were saying anything to me.” The growl in his voice took Victoya by surprise. She stared at him, her eyes wide and her eyebrows inching up higher as she noticed his tense stance. She hadn’t ever seen him like this before—he was always calm, level-headed, and reasonable. Clearly, he was still annoyed with her answer earlier. “I was trying,” she said, as firmly as she could without stuttering like an idiot. As she ducked under his arm, he actually growled, and a rush of his scent embraced her. She slowed as she breathed it in, marveling at how different it was the Alpha scent that dominated the room. While the Alphas had a heady, almost acrid, scent, Commander Torin’s was more balanced; deep and mellow. Victoya pushed forward, heading away from him, even though the urge to turn back to him was strong. She wove through the couples talking in the space, trying to take as much in as possible and watching for any lone Alphas who might be heading her way. She suspected Commander Torin was watching her—she could almost feel his eyes on her back but forced herself not to turn and see if she was right. She had to try and ignore him. She didn’t know if he intended to pursue finding out what she had been doing in the palace, but eventually, he would have to give up. 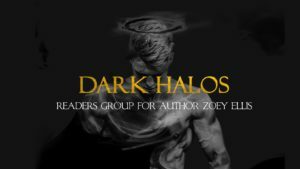 SIGN UP TO DARK HALOS FOR YOUR COPY! 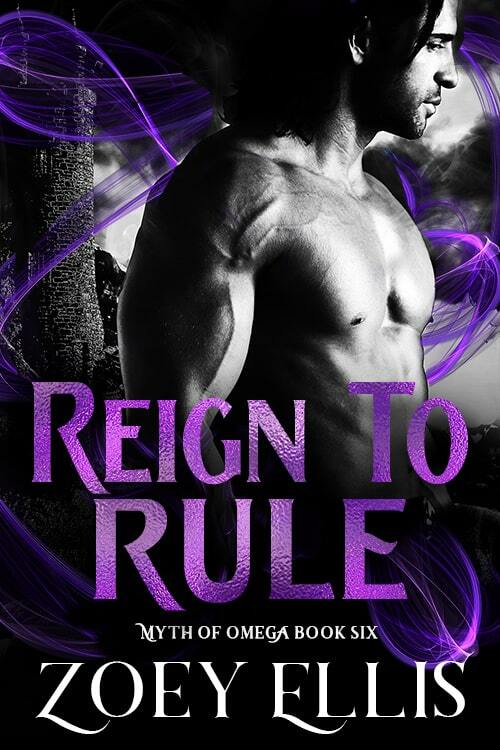 Well, Reign To Rule will be here soon and then I have to do some planning and figure out which books come next. We have one more couple in the Myth of Omega series who need their story told, (more on that soon!) but Zak from my Empire of Angels series is still waiting for his woman too and he’s getting impatient! I’m also MEGA excited about a brand new series I’ve had on hold since before MofO that’s been slowly evolving into something pretty dark and unusual, and it’s whispering that it needs its time soon too. So I need to figure all that out for 2019! Follow me on Instagram and help me figure out how to use it! LOL! Lastly, Malloron and Amara’s story is coming to an end soon 🙁 If you haven’t yet preordered Reign To Rule yet, don’t forget to do so now! Where can we read this?!!! !